I love Converse All Star shoes. I have over 30 pairs, and I just mix and match as I feel. Here’s the thing…I never pay more than $15 for my Converse. Ok, one time I paid full price, but they were limited edition clear ones. But for reals, I’m good at finding deals. However, I have found some that I NEED. Ok, I don’t need them, but I REALLY want them. ….I am trying to decide if I should just give in. I found them at a mall here in Iasi, Romania during our second week here. And every time we go back to that mall, I go back and visit them. So far, it’s the only shoe store I’ve found that sells Converse All Stars. Metallic light blue polka dots. Shiny light blue satin inside. Plus, they would look great in my collection….. 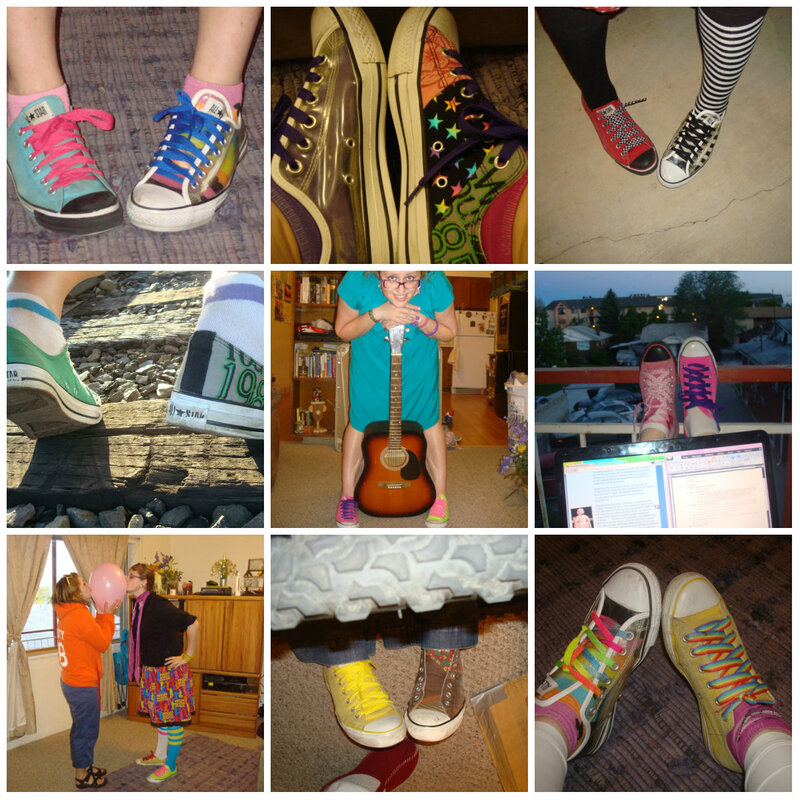 If you care to donate to my “Romania Converse” fund, just let me know. 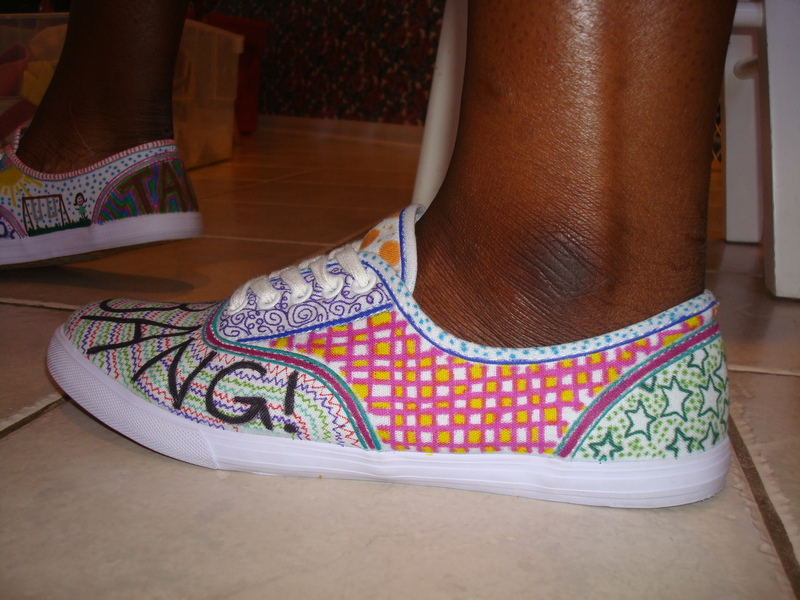 Do You Want Some Sick-Awesome Shoes? 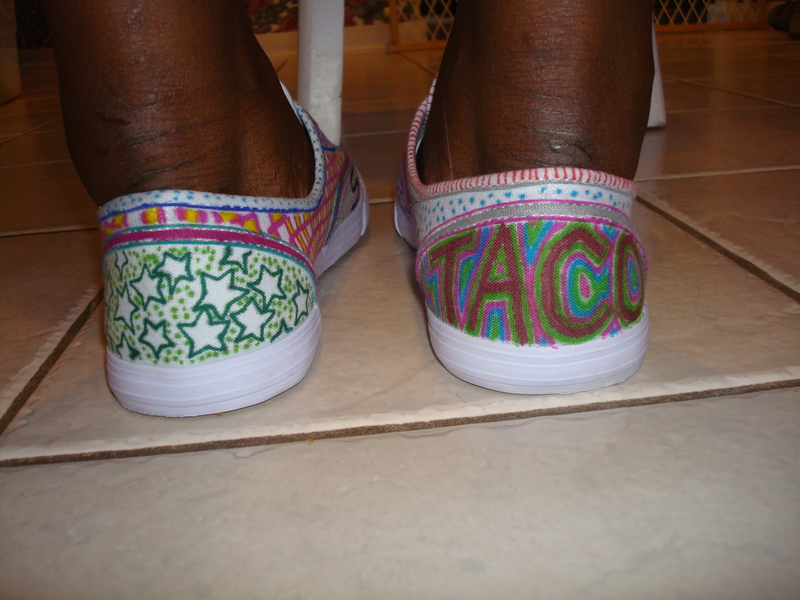 Taco gave me some white shoes to decorate for her…and here’s what I did with ’em…. 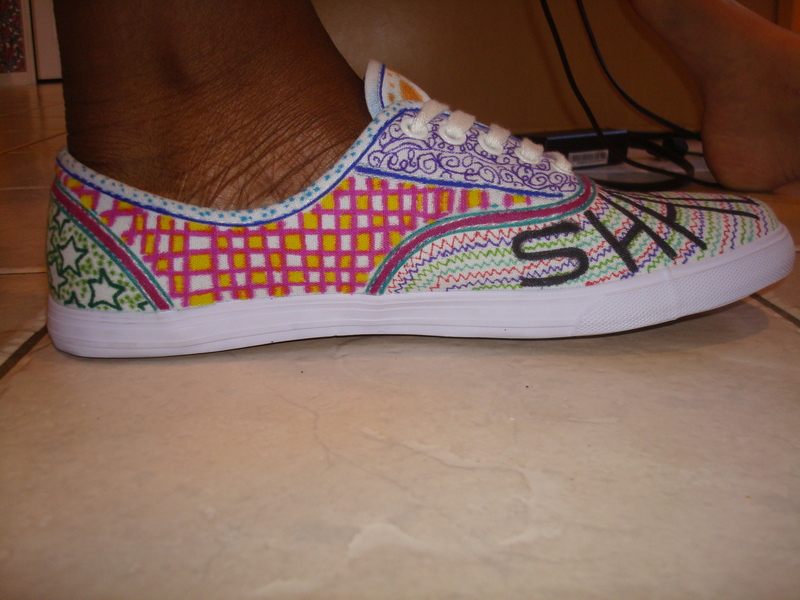 here’s the outside of the right shoe…. here’s the outside of the left shoe…. here’s the back of them…. 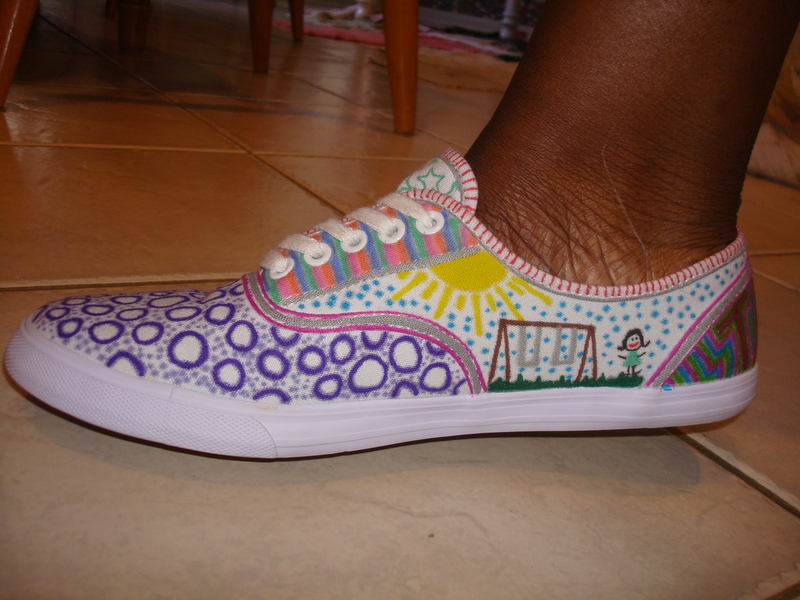 If you want me to make you some, give me $10 and some white shoes like these! They’re just the Mossimo Supply Co brand…from Target. 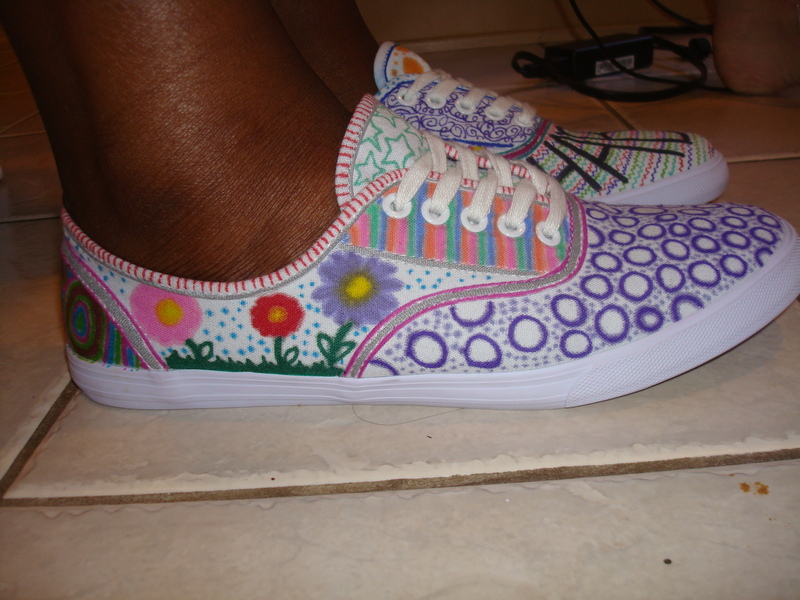 They’re all fabric that I colored on….it was awesome. 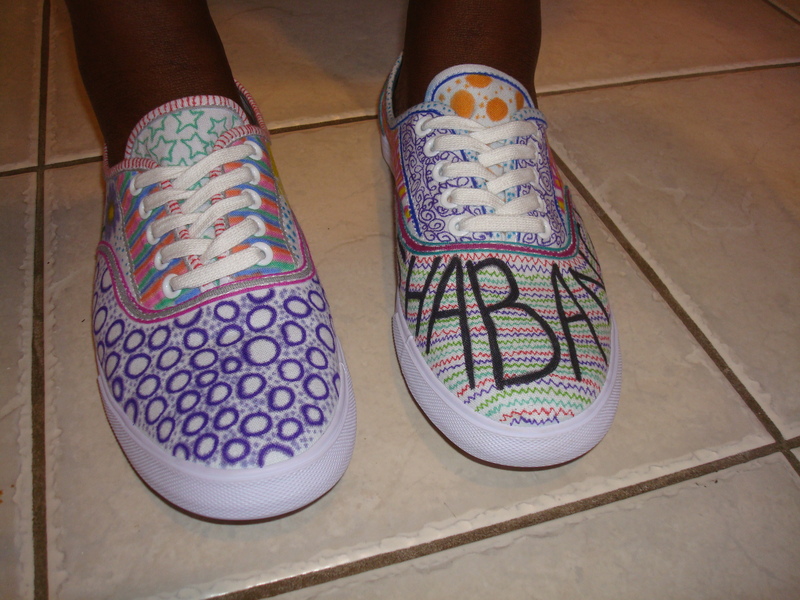 Oh and if you want some, I’ll not only need $10 and the shoes, but I’ll also need to know some things that you like.